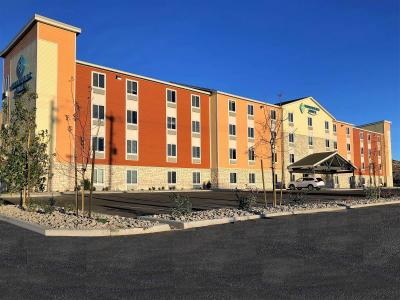 The WoodSpring Suites brand recently surpassed a milestone with the opening of its 250th hotel in the greater Portland, Ore., area. This achievement coincides with the one-year anniversary of the Choice Hotels International, Inc. (NYSE: CHH) acquisition of the WoodSpring brand and franchise business. RevPAR increased 7.6 percent in 2018 over the previous year, exceeding the industry by 470 basis points. Coast-to-coast expansion in key markets, including Atlanta; Charlotte, N.C.; Chicago; Houston; Reno, Nev.; and Seattle. A year of record-setting development growth with 75 contracts awarded, which significantly exceeds the number of new franchise agreements previously granted in a single year for the WoodSpring brand. In fact, the total number of new extended-stay franchise agreements Choice awarded increased by 156 percent, including a 37-percent increase for MainStay and Suburban. A pipeline of 117 hotels, the largest in brand history. Operational improvements, including a 24-percent increase in website revenue delivery, a 5.5-percent improvement in call-center conversion rate, and an 18-percent increase in the brand&apos;s corporate accounts. Impressive extended-stay occupancy with almost 90 percent of WoodSpring Suites guests staying for over a week. "Choice evaluates growth opportunities carefully—and our deliberate strategy to welcome WoodSpring Suites into our family of brands is paying off," said Patrick Pacious, president and CEO, Choice Hotels. "The WoodSpring Suites brand has seen significant business delivery growth nearly every month since the acquisition. As we continue to integrate the power of Choice with the brand, WoodSpring Suites&apos; trajectory as one of the fastest growing and most profitable hotel brands is expected to yield high returns on investment for its owners. In addition, the acquisition has benefited our entire extended-stay portfolio, including the MainStay Suites and Suburban Extended Stay brands, and solidifies our position as a leader in the extended-stay segment." Are you with WoodSpring Suites? If you are a member of WoodSpring Suites you may be interested in learning how to optimize your content on our network.